"Wine Spectator" has rated the wine "Avignonesi Desiderio Merlot Cortona, Tuscany, Italy" from the vintage 2013 on 15.10.2016 with 91 of 100 points. "Wine Spectator" has rated the wine "Avignonesi Desiderio Merlot Cortona, Tuscany, Italy" from the vintage 2012 on 31.10.2015 with 91 of 100 points. "Wine Spectator" has rated the wine "Avignonesi Desiderio Merlot Cortona, Tuscany, Italy" from the vintage 2011 on 31.10.2014 with 90 of 100 points. "Wine Spectator" has rated the wine "Avignonesi Desiderio Merlot Cortona, Tuscany, Italy" from the vintage 2008 on 31.10.2012 with 91 of 100 points. 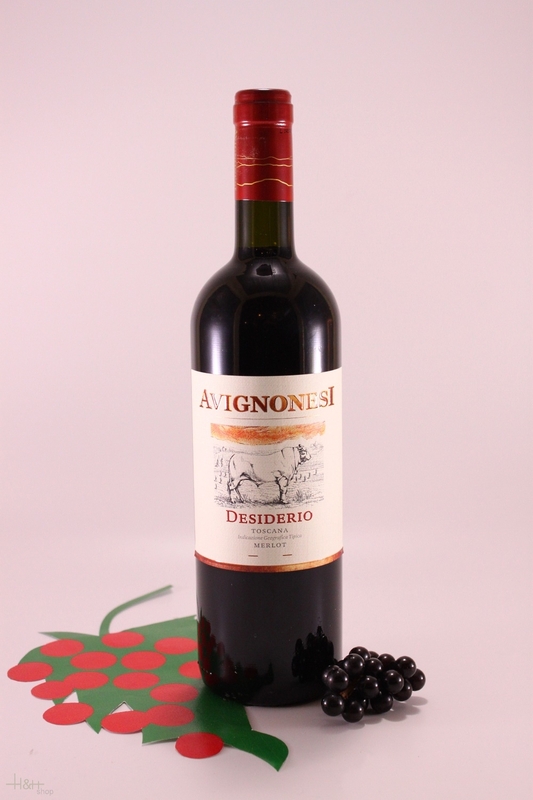 "Wine Enthusiast" has rated the wine "Avignonesi Desiderio Merlot Cortona, Tuscany, Italy" from the vintage 2007 on 02.01.2012 with 90 of 100 points. "Falstaff Magazin" has rated the wine "Avignonesi Desiderio Merlot Cortona, Tuscany, Italy" from the vintage 2007 on 11.02.2011 with 92 of 100 points. "Wine Spectator" has rated the wine "Avignonesi Desiderio Merlot Cortona, Tuscany, Italy" from the vintage 2007 on 31.10.2010 with 84 of 100 points. "Vinous Antonio Galloni" has rated the wine "Avignonesi Desiderio Merlot Cortona, Tuscany, Italy" from the vintage 2007 on 01.07.2010 with 90 of 100 points. "Falstaff Magazin" has rated the wine "Avignonesi Desiderio Merlot Cortona, Tuscany, Italy" from the vintage 2006 on 29.01.2010 with 93 of 100 points. "Wine Enthusiast" has rated the wine "Avignonesi Desiderio Merlot Cortona, Tuscany, Italy" from the vintage 2006 on 03.01.2010 with 93 of 100 points. "Wine Spectator" has rated the wine "Avignonesi Desiderio Merlot Cortona, Tuscany, Italy" from the vintage 2006 on 31.10.2009 with 91 of 100 points. "Vinous Antonio Galloni" has rated the wine "Avignonesi Desiderio Merlot Cortona, Tuscany, Italy" from the vintage 2006 on 01.08.2009 with 88 of 100 points. "Wine Enthusiast" has rated the wine "Avignonesi Desiderio Merlot Cortona, Tuscany, Italy" from the vintage 2005 on 11.01.2009 with 91 of 100 points. "Wine Spectator" has rated the wine "Avignonesi Desiderio Merlot Cortona, Tuscany, Italy" from the vintage 2005 on 31.10.2008 with 89 of 100 points. "Wine Enthusiast" has rated the wine "Avignonesi Desiderio Merlot Cortona, Tuscany, Italy" from the vintage 2004 on 04.01.2008 with 95 of 100 points. "Wine Spectator" has rated the wine "Avignonesi Desiderio Merlot Cortona, Tuscany, Italy" from the vintage 2004 on 31.10.2007 with 90 of 100 points. "Wine & Spirits Magazine" has rated the wine "Avignonesi Desiderio Merlot Cortona, Tuscany, Italy" from the vintage 2004 on 01.10.2007 with 85 of 100 points. "Falstaff Magazin" has rated the wine "Avignonesi Desiderio Merlot Cortona, Tuscany, Italy" from the vintage 2003 on 03.11.2006 with 91 of 100 points. "Wine Spectator" has rated the wine "Avignonesi Desiderio Merlot Cortona, Tuscany, Italy" from the vintage 2003 on 31.10.2006 with 92 of 100 points. "Falstaff Magazin" has rated the wine "Avignonesi Desiderio Merlot Cortona, Tuscany, Italy" from the vintage 2001 on 30.12.2005 with 92 of 100 points. "Wine Spectator" has rated the wine "Avignonesi Desiderio Merlot Cortona, Tuscany, Italy" from the vintage 2001 on 15.10.2004 with 90 of 100 points. "Wine Spectator" has rated the wine "Avignonesi Desiderio Merlot Cortona, Tuscany, Italy" from the vintage 2000 on 15.10.2003 with 90 of 100 points. "Wine Spectator" has rated the wine "Avignonesi Desiderio Merlot Cortona, Tuscany, Italy" from the vintage 1999 on 15.09.2002 with 93 of 100 points. "Wine Spectator" has rated the wine "Avignonesi Desiderio Merlot Cortona, Tuscany, Italy" from the vintage 1998 on 31.10.2001 with 92 of 100 points. 60% Cabernet Sauvignon, 30% Sangiovese; 10% Petit Verdot. 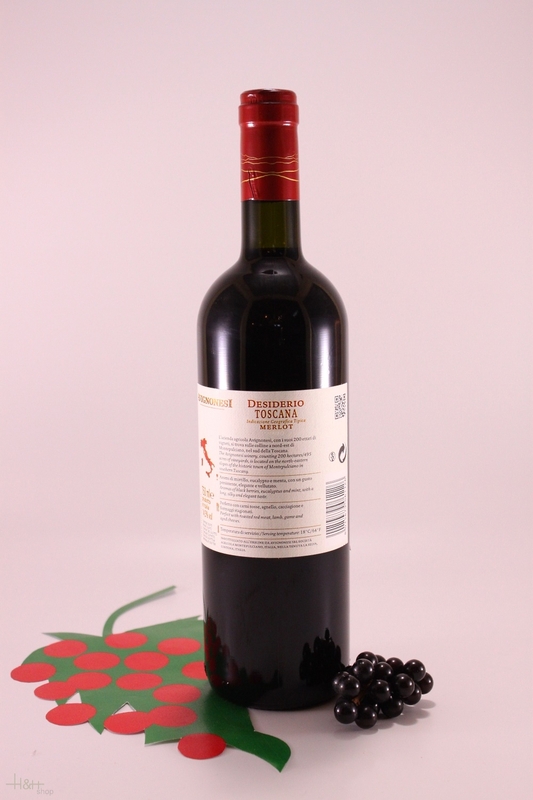 Brancaia ILATRAIA is a modern and terroir-typical blend of 40% Cabernet Sauvignon, 40% Petit Verdot and 20% Cabernet Franc. The pure variety of rum is manufactured without added sugar or flavors and smells of the aromas of leather, tobacco, dried fruits, and sultanas. It tastes mild and "feinherb" (on the dry side). Nebbiolo Langhe Bricco Boschis - 2015 - Tenuta Cavallotto 31,75 EUR / 42,33 €/lt. La Ricolma - 2012 - San Giusto a Rentennano 62,20 EUR / 82,93 €/lt. Teroldego Sgarzon - 2016 - Foradori 32,35 EUR / 43,13 €/lt.